Mosquitoes have a relatively short lifespan, of which the female mosquito mainly spends her time trying to bite someone. Her adult life will take just a few weeks, but she’ll live longer than the males. But let’s say a mosquito starts biting someone, will it die immediately? 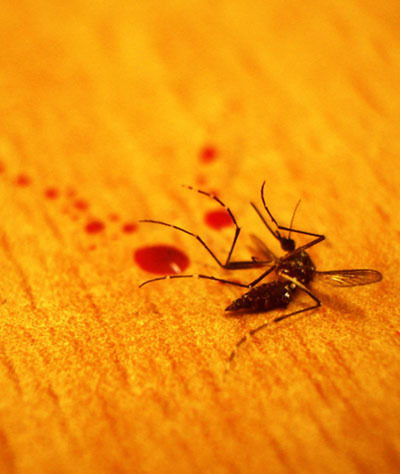 How long does a mosquito live after a bite? They would surely need some time to produce and lay their eggs in standing water. Let’s find out what happens to mosquitoes after they successfully bite you. Those blood-sucking pests seem to bite as many people as they wish at just about any moment you can imagine. They can be real pests, especially if they bite you under your arms or behind your knees. These insects should be easy to control, but sometimes they just seem to swoop and attack as if they really want a piece of that juicy blood. And it won’t stop with just a single bite either. So what does happen after you get bitten? Let’s find out. Do Mosquitoes Die After They Bite Someone? Mosquitoes will not immediately die after they bite someone: They can live up to 3 weeks after their first bite victim. The process of biting someone will not kill a female mosquito: She will bite as many victims as needed to lay her eggs. If they do not consume blood and find water afterward, they are not able to lay eggs. The mosquito lifecycle determines the survival of the adult female after the biting process. Because the steps after the blood gathering are so crucial, she cannot die in the days after the bites. Dying after bites would make the act of biting humans (or other species) in the first place a useless endeavor. In case you’re interested in how this whole lifecycle process works, this article I wrote will explain it in much more detail. Mosquitoes spend most of their time in the water, and the time in which they need to bite others is actually relatively short-lived. So in a sense, you could say mosquitoes will die relatively quickly after biting someone, although the two don’t have much to do with each other. Can The Same Mosquito Bite More Than Once? Female mosquitoes will bite as much as needed to produce their eggs. So yes, mosquitoes can and usually will bite more than once. 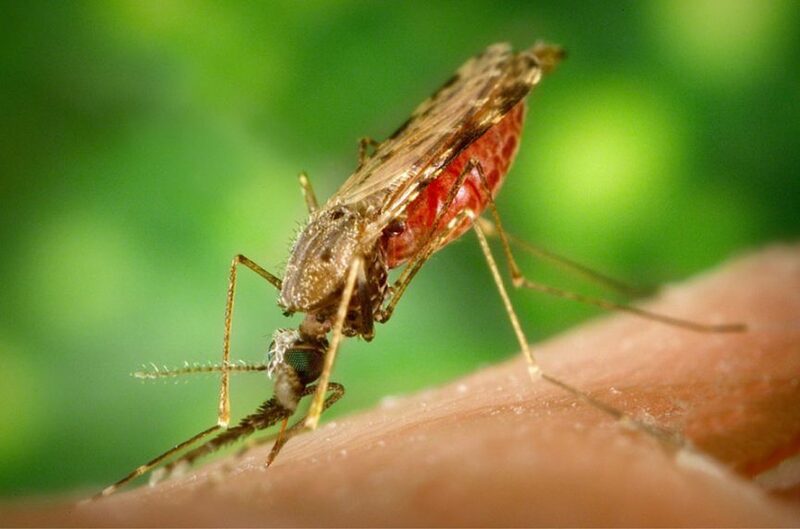 The same mosquito can keep biting you until its abdomen is filled with blood, the number of bites depends on whether or not the mosquito is interrupted during the biting process. If you tend to toss and turn at night the mosquito may not have got its fill when the first time it bit you. This means that the pesky little creature had to bite you in multiple places before it was satisfied. So if you’ve woken up and discovered a lot of mosquito bites on your skin, the reason behind it could be because of how you slept. Alternatively, there can be more than one specimen in your room that wants a taste of your blood. But where do they stop? That’s all regulated in the brain. A part of the mosquito’s brain tells them when they’ve had enough blood, otherwise, they would probably keep draining their victims of blood until they’re full. It’s what they need for their offspring: Your blood contains substances that are required to produce eggs. Once the mosquito has consumed enough blood it will rest for up to three days before it lays eggs. Once she has laid her eggs the mosquito will go back to biting people again. This cycle carries on until the mosquito dies naturally (or you manage to kill it using an insect trap like this). One of the reasons why there are so many mosquitos around is that a female can lay as many as 300 eggs at any one time. This potentially means that during a single week the buzzing creature could lay up to 600 eggs. 600 eggs a week is 2,400 a month. If the mosquito lives as long as two months it may lay up to 4,800 eggs. It’s unlikely that there will ever be a shortage of mosquitos, unfortunately. If just one female lays 600 eggs a week and only 10% survive, 60 mosquitos will still be around to lay 300 eggs at any given time. Yikes. Can You Die From Mosquito Bites? Most of these deadly viruses can be found when you’re on holiday in another country, especially in continents like South America and Africa. If you’re traveling to a place where mosquitoes could kill you, you will need to take some preventative measures. While some mosquitos are harmless there are others that carry a deadly disease. If you have been bitten by a mosquito in the last three days and you don’t feel well, speak to a doctor as soon as you can (just in case). You may not have caught malaria or another deadly disease, but it’s always worth getting your symptoms checked out to make sure your situation won’t worsen. Use an insect net: Mosquito nets are a relatively cheap but simple solution to the biting problem. Use mosquito nets or insect screens on your doors and windows so the little bloodsuckers stay away. Indoor mosquitoes can live for quite a long time: Their indoor lifespan ranges anywhere from four days to a month. After female mosquitoes are done biting, they will live up to three weeks in your home. Most species won’t last that long, but it can still seem like a long time period when living with them. If you’re interested to learn more about this topic, I’ve previously written a full article on indoor mosquito lifespan. The article can be found right here. Certainly worth a read if you’d like to learn how to get rid of them indoors! How Do I Kill A Mosquito In My Room? Get a canopy for your bed: Sleep comfortably and insect-free with a mosquito net canopy around your bed. There are other methods for killing a mosquito, including quite an unusual one. Let’s imagine you can hear a mosquito buzzing around your room. What you need to do turn all the lights off and lay on top of the bed or sofa. Take a tablet and place in on your chest, screen-side up. Press the screen which should light up and attract the mosquito, then take a deep breath in and out again. The theory is that the carbon dioxide you breathe out will attract the mosquito. Once the pesky bug is in your sight, swat it hard! If you want to get rid of mosquitoes and learn even more about how to prevent being bitten, make sure to take a look at the overview page for the best anti-mosquito products. While mosquitoes may seem to swarm around you wherever you go it is possible to give yourself a fighting chance. They always say “Prevention is better than cure” so make sure you wear light colored clothing when you’re out and about, and try to stay covered up. Pick up some insect repellent at your local store and deal with the pesky mosquitos before they feast on you. Mosquitoes will always be around, but they don’t have to make your life a misery, so learn how to control them in your home and outside too. My blog provides you with all the resources you’ll need to learn and understand to control these pests. I highly recommend you to take a look around for more cool information!